Across the globe, leaders recognise the World Health Organization’s principle – the health of all peoples is fundamental to the attainment of peace and security and is dependent on the fullest cooperation of individuals and states. Every country wants a health system to care for the sick and promote the well-being of its people. Every nation wants to raise the bar to keep up with improving living standards and expectations. However, every economy requires this to be done at an affordable price. Managing the costs of healthcare and workforce shortages, and ensuring a sustainable model of delivery, seem to be key drivers in each of the countries covered in this publication. One area of focus has been integration between health and wider social care, particularly for the elderly and those with chronic conditions, reducing emergency admissions and improving the chances of care being provided locally, rather than requiring hospital admissions. Another evolving theme has been the ever-increasing role of digital technologies providing options for care at a physical distance from hospitals, clinics and healthcare professionals. The ways different countries are meeting these demands vary enormously, and for the healthcare lawyer, or the healthcare provider, alternative destinations provide unique challenges, risks and opportunities. This publication identifies the broad characteristics of healthcare to be found in each jurisdiction. It considers: the role of insurance or public payers; models of commissioning; the interplay (or lack of it) between primary, secondary and social care; and the regulatory and licensing arrangements for healthcare providers and professionals. These continue to be exciting times for the delivery of healthcare, with digital technologies, genomic personalised medicine and the eradication of certain diseases through vaccination. Patients, data and providers are moving globally and the pace of development is relentless. This year has seen a recognition of the real value of data in the provision of care and the development of healthcare technology; this has been coupled with new legislation including the European General Data Protection Regulation, which has impacted not just on data controllers in Europe but on many of the international providers caring for EU citizens. Younger healthcare economies are offering exciting new opportunities in a market where healthcare professionals can be a scarce resource; more mature markets are having to address ageing infrastructure and a pressing need to reform to meet today’s challenges. Each chapter has been written by leading experts who describe succinctly their own country’s healthcare ecosystems. I would like to thank them for the time and attention they have given to this project and also the wider team at Law Business Research for their support and organisation. 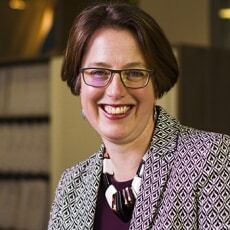 Sarah Ellson co-leads the Fieldfisher LLP’s regulatory group and specialises in healthcare regulation. She acts for numerous regulators, many of which cover disciplines at the frontiers of medical science such as the Human Fertilisation and Embryology Authority, for whom Sarah has advised on new mitochondrial donation regulation and licensing and the authorisation of gene editing in research. With the Human Tissue Authority Sarah has advised on aspects of living and post mortem organ donation and DNA preservation. She has worked with health and social care regulators including the General Medical Council, Nursing and Midwifery Council, General Dental Council, the Northern Ireland and Scottish Social Care Councils, General Pharmaceutical Council, as well as those educating healthcare students. She has worked for numerous and diverse private providers in the pharmaceutical, optical, pharmacy and blood-banking sectors and increasingly supports new healthcare provider clients looking to enter the English market.